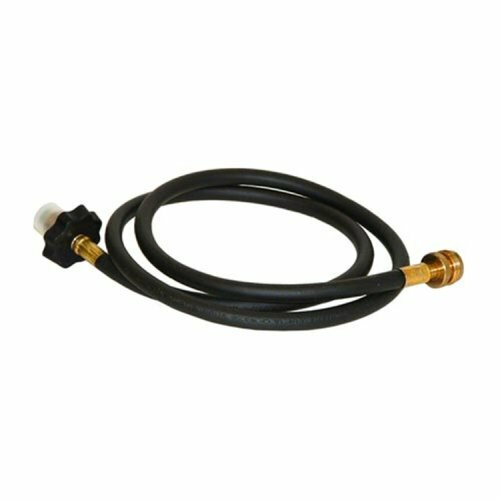 Use your Coleman stoves and lanterns almost 20 times longer without refueling with help from the Coleman 8-Ft. High-Pressure Propane Hose. This accessory allows you to hook a 20-lb. 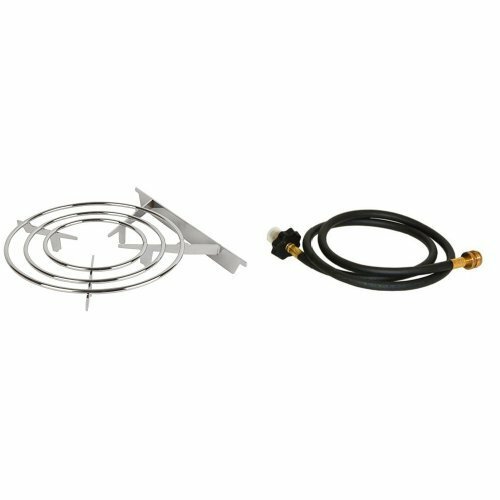 tank to your camp stove or lantern for high-pressure fuel. 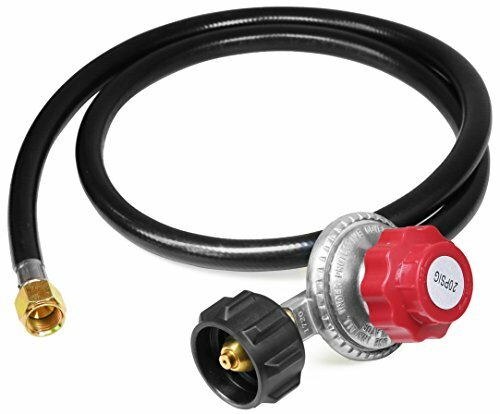 The hose fits any of the Coleman attachments you need to connect the appliance and tank: a distribution tee, propane tee or bulk adapter. 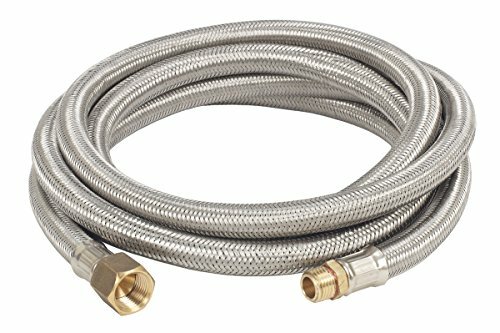 The Bayou Classic 10 Foot Stainless Steel Propane Hose is UL listed. Pound it, burn it and try to cut it with a knife and it will not budge. 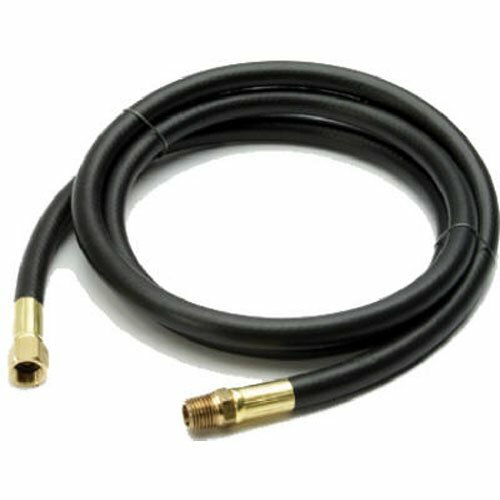 This propane hose includes a.25 inch male pipe thread and 3/8 inch female pipe thread. 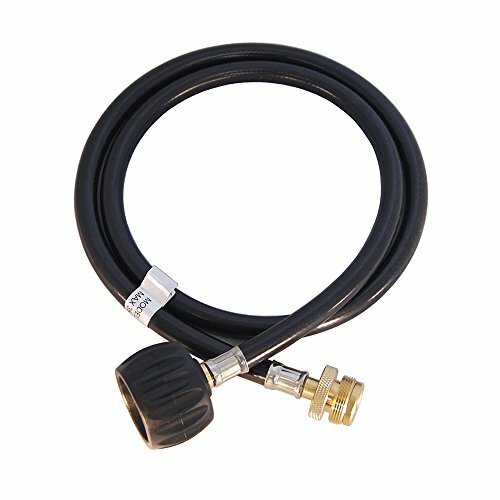 The orifice (5235) will fit on this hose to use with outdoor burners. 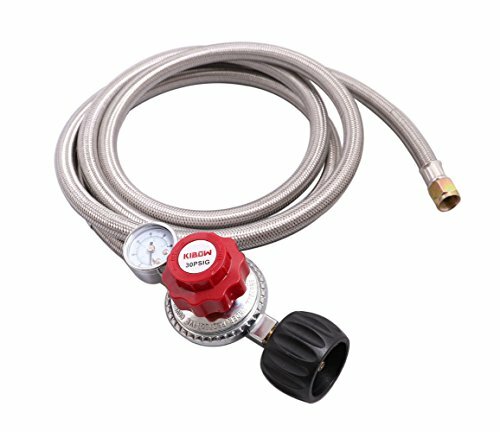 Features: Type: Hose. 350 PSI Maximum Use. 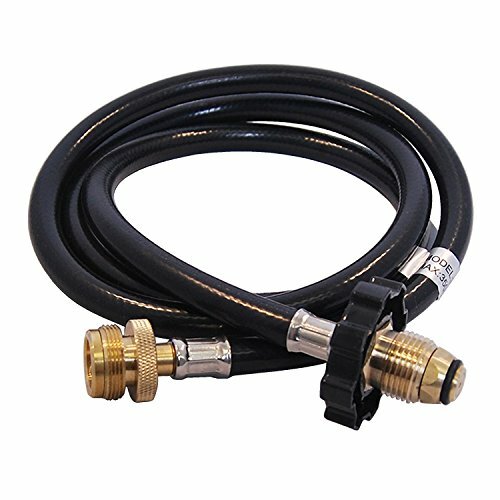 Stainless Thermoplastic Braided Hose. 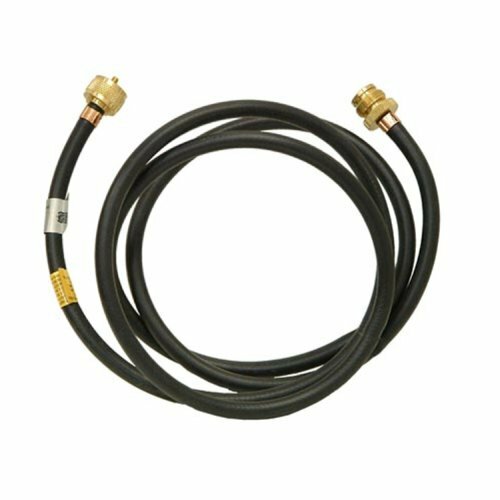 1/4" MNPT x 3/8" Flare Swivel Brass Connectors. Specifications: Length: 120". WARNING: This product can expose you to chemicals including Lead which is known to the State of California to cause cancer and other reproductive harm. For more information, go to www.P65Warnings.ca.gov.